Containers like this one were used to contain the lime essential to chewing betel leaves. 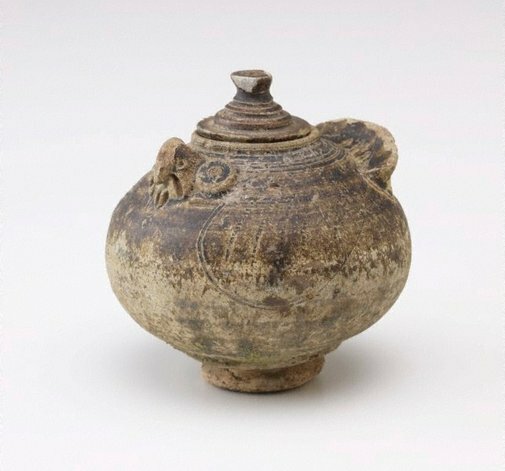 This lime pot has the insistent presence and simplicity of form that one expects of Khmer ceramics and is an excellent example of the zoomorphic animal shapes that were part of the standard vocabulary of Khmer potters. The owl is the most common of the zoomorphic animal shapes, depictions of other animals, such as the hare and anteater being confined to the second half of the 11th and early 12 centuries.